"I give all parts of my life equal attention." It seems to be shaping up to be a very busy month, Easter this weekend, then several events, family gatherings, and celebrations. I often find myself in the position of wanting to achieve more than I can manage at once, and heaven forbid I have two events in one weekend - how will I survive? I'm trying to focus on being proactive, planning and scheduling, but sometimes it's okay to just call it a night and let things be undone. It's entirely possible I may never get the clutter in my apartment under control or have all my blog posts scheduled before the end of the weekend, but I can still try, and try to find the most happiness in life that I can. 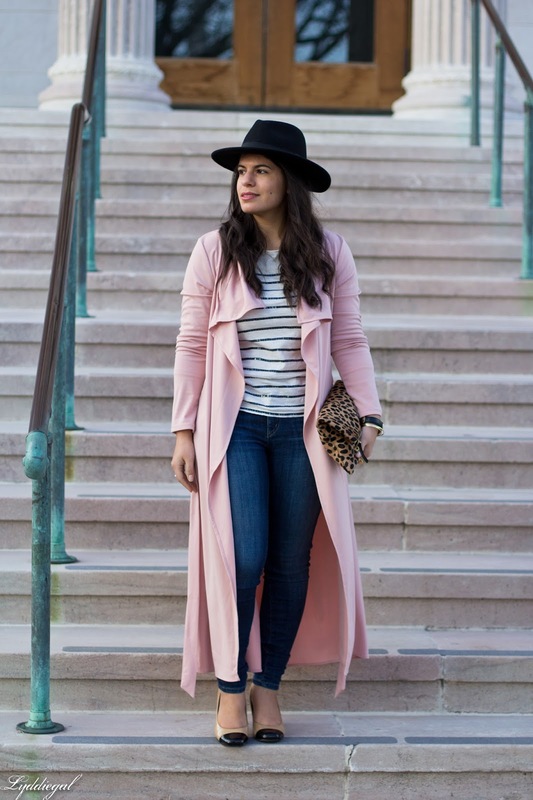 I'll admit to having a little weakness to participating in the current trends, like the draped trench. 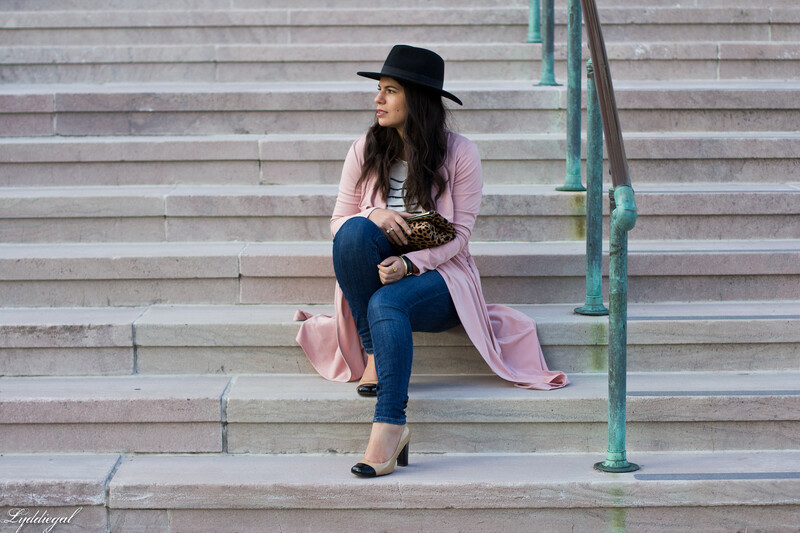 Though for under $20, this blush coat from Zaful is a decent option to avoid making a trendy piece an investment piece. Trench coat might be a term I use to describe this loosely; the material does have a nice drape to it, but the weight and feel are more akin to what you might wear as loungewear rather than outerwear. It is definitely not waterproof, and was not about to keep me warm on a chilly spring day. That aside, the coat certainly has a dramatic flare, and fills the void for a fun colored coat at a price point that likely won't elicit any buyer's remorse. I love that draped piece - it's really dreamy and the light pink is such a lovely shade. I also often find myself feeling like I'm just stretched a bit too thin and I'm not sure how I'll manage to get all the things done that I need. It's not a great feeling but I strangely feel as though I've gotten a bit used to it. The pink makes it so fun and stand out wonderfully, Lydia!! 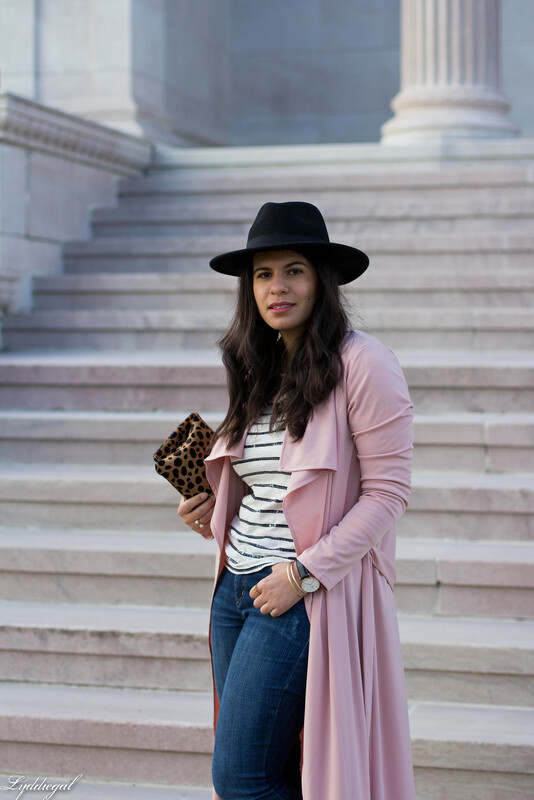 The coat is a really fun statement piece! Even if you wear it just a few times before it makes its way to the donation bin, it's fun to play with! I've been seeing draped trenches everywhere, which naturally makes me think that I need one - and seeing you in this pink one doesn't help, I admit, because it's so lovely. But I've told myself there's no sense in acquiring a draped trench when I haven't even found a traditional trench that I love, so I'm continuing on with my hunt for that one and hoping someday, somewhere, I finally find it! 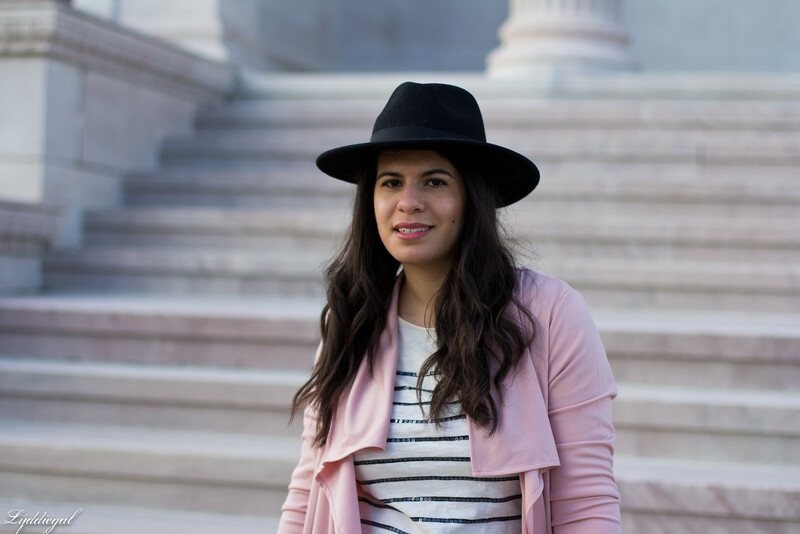 I love the draping and have a similar blazer. 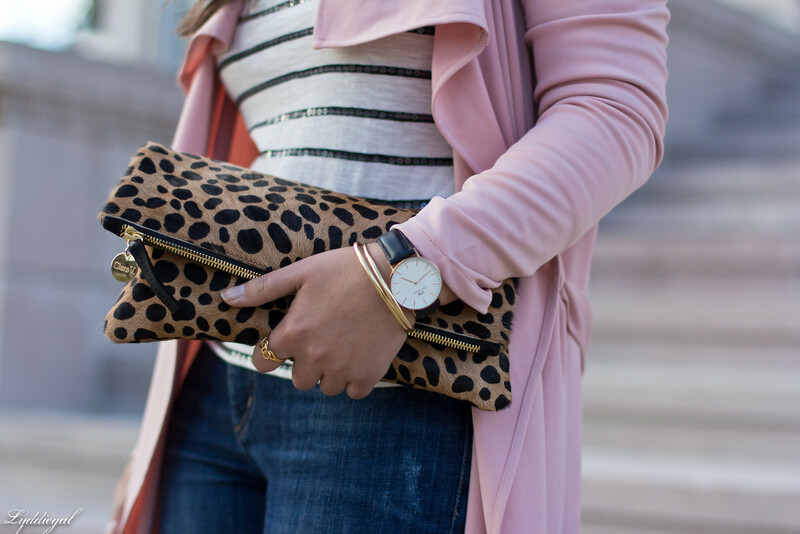 The pink is so great for spring! I've had similar feelings about Zaful...Great for trendy pieces that you don't want to splurge on and mostly just look cute! 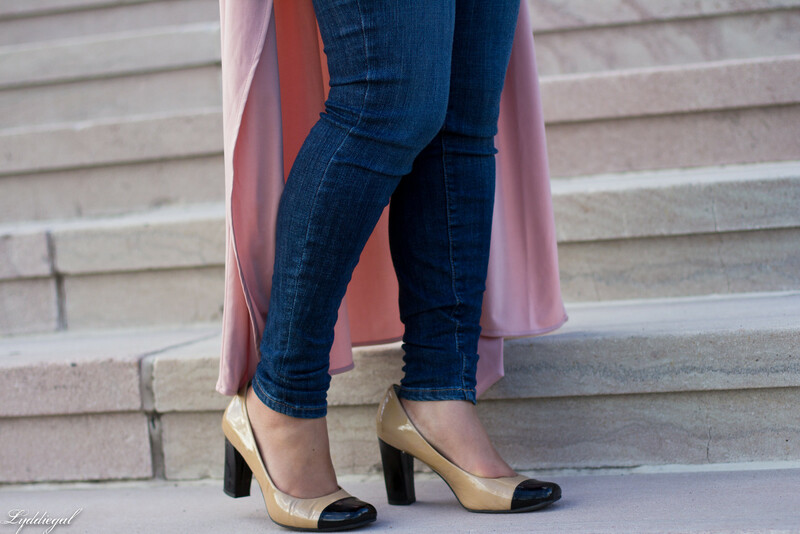 I absolutely love this shade of pink and you're right, gorgeous draping! I can't get enough blush things right now, so I love this. It adds just the right touch of drama to that otherwise classic look. I love finding affordable ways to try out a trend. 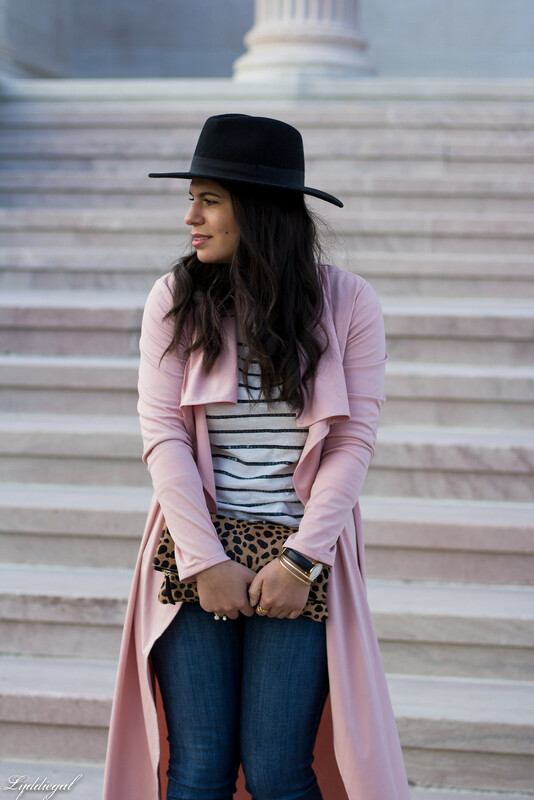 That blush trench is so pretty! 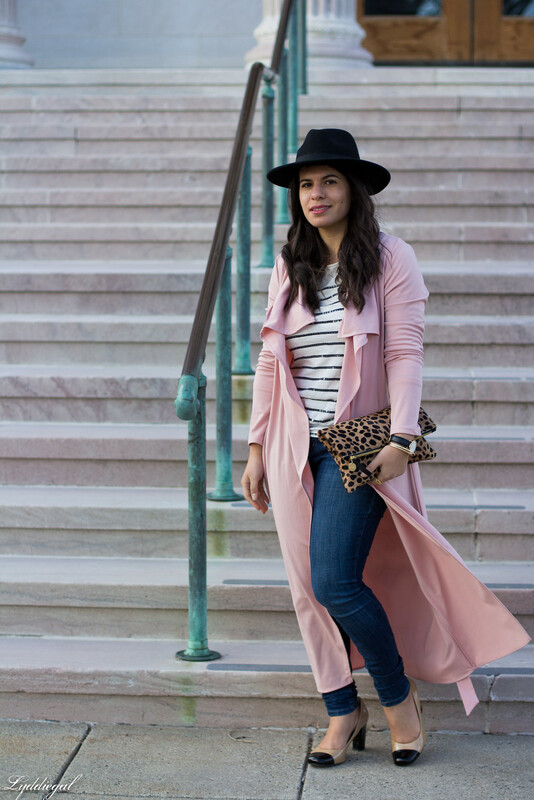 This blush trench is so beautiful! 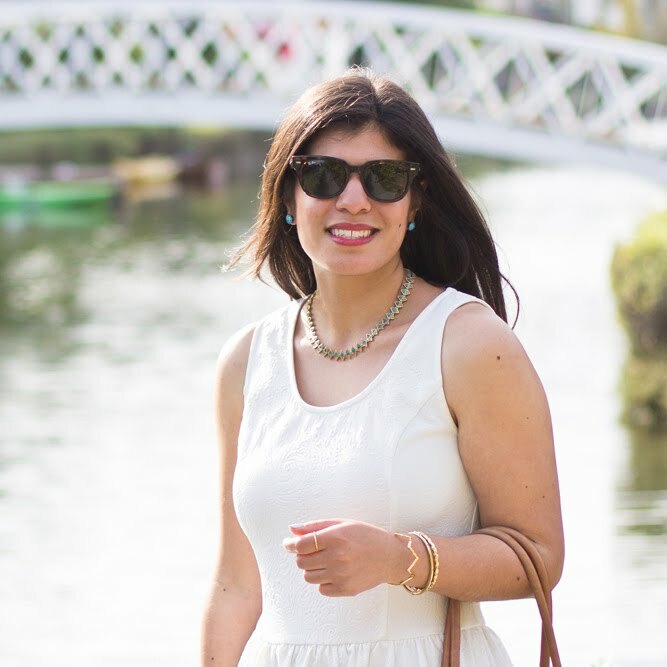 Love how you styled it! 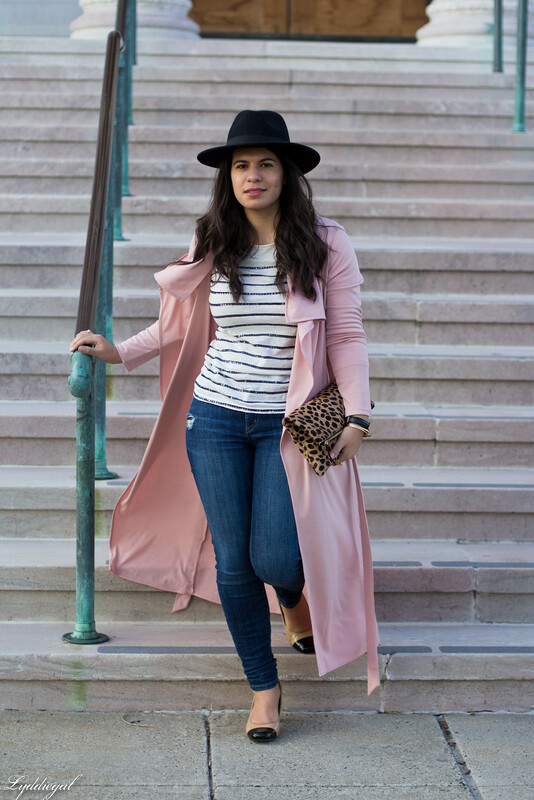 I am such a sucker for pink trench coats! In love with this look! 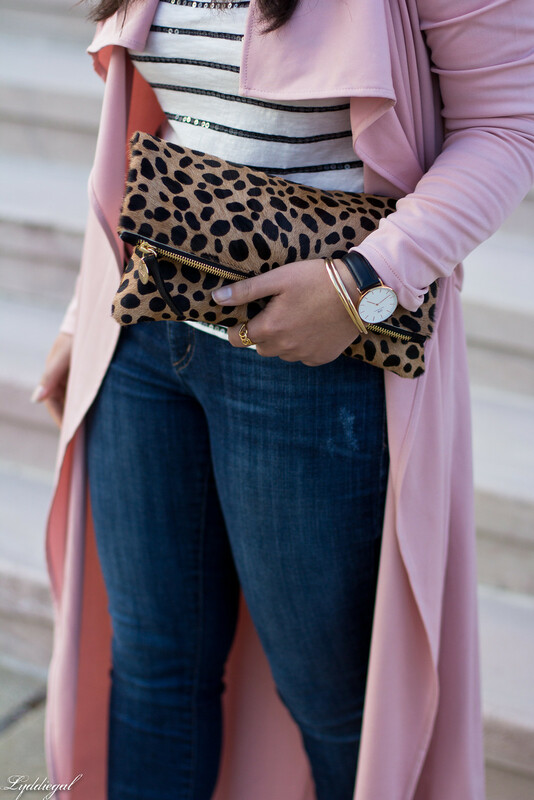 Oh my goodness that blush duster was just made for you! How gorgeous. I like the colours however I am not too sold on the trench coat like garment.